Chief of Staff and Faculty at the Western Hemisphere Institute for Security Cooperation at Fort Benning. I love to dance swing and salsa. I also paint and make furniture for my home. I am reading Armor of God by Priscilla Shirer. My good friends and co-workers! I hope to work for the Department of State or as a Foreign Officer. I run because I want to stay healthy and fit. 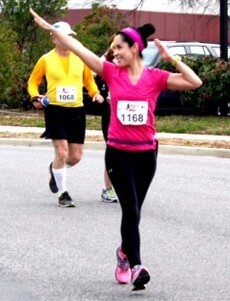 I have breast cancer survivor and running helps me feel strong. I also like helping others with achieving their personal goals. I coached 2 people this year who are running their first marathon ever. My best marathon was in Chattanooga, Tennessee in 2015, the 7 Bridges full marathon. It was a bright sunny day in October with a brisk cool breeze. My four hour pace group leader was named Eric and he had the most positive attitude the entire time. Another person in my group carried upbeat music, so together we became a small happy running family. 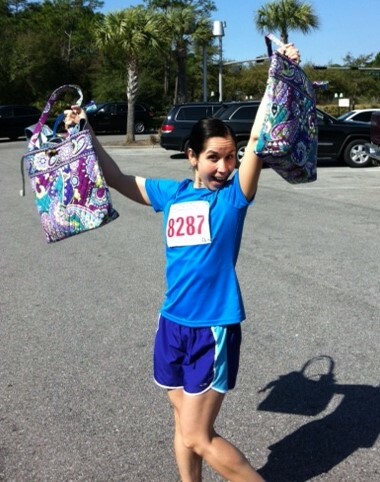 At the end, I finally ran ahead of my pace group and met my goal of finishing under 4 hours! I was ecstatic! We even had Belgian waffles with strawberries on top at the finish line, my favorite! I pace because I want to help others meet their personal goals. It is a lot of hard work and dedication to run a full marathon and it is so difficult to achieve this race on our own. I sincerely believe that with the help of others coaching and supporting through the journey, the final result is more than just finishing the marathon. We are no longer just friends, we bond together as a family. I paced 2 soldiers for a 20 mile training run this year. We started at 5:30 in the morning. We stayed around a 10 minute pace since one of the soldiers was in a cast and still healing. The son of the other soldier formed the rear on his bike, fully stocked with a backpack of bottled water and nutrition. His bike guided us through the darkness. At 10 miles, we stopped at the staff duty desk at Building 4 on post and had leftover pizza! I love running! I love people! Anyone is welcome to be in my pace group since we will encourage each other and support one another along the way. If we stay together, we will finish strong. Running is a very personal activity for me. I encourage all those who run, to run for something beyond yourself. Run for something you believe in, run for someone you love, or run to improve your health. I would like to thank God and my friends for running with me this year. This year has been especially difficult with a lot of changes, but through it all, God has been faithful to take care of me. I support the U.S. Army soldiers who are deployed overseas with care packages.